Ed King and his family established King Estate Winery near Eugene in 1991. “I think in his finest moments, he was an engineering visionary”, his son stated. He founded Communications Accessories Co. in 1948 and sold it in 1955. In 1959 he founded King Radio which grew to become an international powerhouse in aviation avionics. 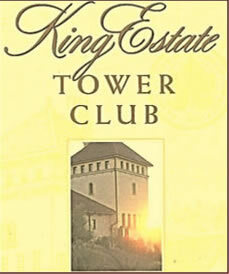 Since 1991 King Estate Winery has grown to become one of Oregon’s largest wineries. Ed King passed away at the age of 90 in June 2011. He and his brother & 3 sisters attended a one-room school, often riding to school on his horse, Ned.